Far enough from the city to be quaint, close enough to enjoy the attributes of the city, Middletown, Maryland is ideally situated in the beautiful Middletown Valley of Maryland. Founded in 1767, Middletown is steeped in American history — from the mid 1600’s and Colonial settlements to the new millennium and high-tech biological engineering, Middletown contributes at every turn of the page. A young Lieutenant George Washington surveyed the South Mountain area and commented that the Middletown Valley was one of the most beautiful places he had ever seen. The Revolutionary and Civil Wars passed through Middletown along Main Street, the Old National Pike, turning our homes and churches into headquarters and hospitals. 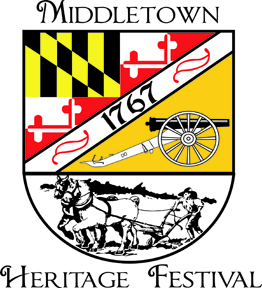 Middletown is a Maryland Heritage Area and is part of the official “Heart of the Civil War Heritage Area” as certified by the Maryland Department of Planning. The Valley was completely surrounded by mountains, the gentle slopes of which had been cleared and planted in grain. The fields below formed a huge checkerboard, each block representing a planted field, a green meadow, or a patch of woods. A more delicate touch of beauty was added by the shocks of corn, laid out in perfect rows.” Middletown Valley has always been primarily an agricultural community. Farms ranged in size from 120 to 200 acres with wheat, rye, barley, oats, corn, and hay as the main crops grown. Each farmer raised his own vegetables and used them for home consumption. Vegetables not used in season were preserved and saved until the winter. In addition to these crops, almost every farm had apple, cherry, peach, and pear trees. The pastures contained small herds of cattle which produced enough milk and cream to feed the family and make a good supply of butter. What was not used personally was sold in nearby cities. Pigs were raised for home use and a number butchered each year. Social functions were considered as ways of helping one another with the work. There were butcherings, apple butter boilings, peach pearings, quilting parties, and barn raisings. Neighbors helping neighbors.Many of the farmers had large quantities of lumber. During the crisp cold winters, the men would spend their time cutting this valuable fuel for home use. In addition to the farmers who worked the land, the Valley boasted many thriving industries which owed their strength to agriculture. The supply of raw products which could be obtained at low rates from the farmers coupled with the fact that the Valley didn’t have a railroad or larger transportation network, made it necessary to have manufacturing in the Valley or in the nearby communities. Harness shops, wagon makers, and blacksmith shops depended upon the farmers and the farmers depended on them.The general store carried supplies and equipment needed on a farm and served as a community gathering place. Grist mills got their grain from local farmers. The farmer received part of his pay in the form of flour, the rest being in currency. The source of power by which most of the mills could grind the flour was derived from Catoctin Creek which supported 14 separate mills at one time. The tanning industry was another of the important business enterprises of the community. Hides could be bought at about fifty cents per pound from the local stock farmers. Many of the farmers had large quantities of lumber. Timber was hauled from the woods by sixhorse teams. Hickory could be sold in Frederick for about $5 per cord, while oak only brought $4. One of the most flourishing industries of the time was distilling and Middletown Valley had its share of distilleries including the Horsey Distillery near Burkittsville and the Horine Distillery near Harmony. Today we hear buzzwords like “from Farm to Table” as if it’s a new concept, but that was the way of life then. Farm families grew what they needed for their own survival and sold the extra crops. The community worked together, then and now. Even though a lot of the land throughout the Valley has been developed, Middletown is fortunate to have so much open farmland still in use today and the sense of community lives on. Middletown, Maryland is a wonderful place to live, work and visit. Remember the days of a community’s Main Street being the pulse of that community? Where the convenience and friendliness of hometown businesses, local services, specialty shopping and unique recreational and cultural activities take place? Newly established, the Middletown Main Street Program’s mission is to enhance the sense of place, quality of life, and economic vitality of the community. Through this well structured state program, Main Streets across Maryland are given the tools to empower their communities to rebuild and restructure, once again obtaining the vitality a downtown brings. Look for additional information over the coming months on how everyone can be a part of generating a unique sense of hometown pride that enhances Middletown’s reputation as the beacon and heart of the valley. The first settlements in Middletown were made by English and German settlers around 1740; numerous histories report that Frederick Lauber, a gunsmith, was the first settler around 1730. According to the land and wills records of Frederick County, 100 acres of land were granted to Notley Thomas, August 4, 1750. He assigned 50 acres to Richard Smith, November 25, 1750. Smith then had 44 acres surveyed by Isaac Broke and called the property Smithfield. On July 8, 1776, he transferred Smithfield to Josiah Bell, who subsequently sold it to Michael Jesserong for 66 English pounds. It was Jesserong who renamed the property Middletown. He sold the first lots of the town in 1767, the date officially marking the town’s founding. On August 14, 1768, Jesserong sold the enter parcel to Conrad Crone, who also had purchased one of the first lots. Under Crone’s direction the town continued to be developed. Middletown is the birthplace of two Revolutionary War heroes; Sergeant Lawrence Everhart, who saved the life of Col. William Washington at the Battle of Cowpens, and General Joseph Van Swearingen, who served under his father during the war. During the Civil War, Middletown witnessed the troops of both armies under the direction of Generals Lee and McClellan passing through the town on their way to South Mountain and Antietam. In the aftermath of those battles, Middletown opened its churches and homes to care for the wounded, among whom was Col. Rutherford B. Hayes, later President of the United States. Andrew Jackson once said that our valley was “one of the most favored and delightful spots on the earth.” Middletown residents agree and extend to you, our visitors, an invitation to share in the celebration of our history, and to enjoy the unsurpassed beauty of this “favored and delightful” setting. In 1806, Congress created the legislation for the first federally funded road from Cumberland to Vandalia, Ohio; which continued the work of early roadways from Baltimore to Cumberland. The National Road provided a gateway to the west for thousands of settlers and travelers. By 1840, the Federal government relinquished ownership of the roadway to the state governments. The road was transformed into a “Pike” by establishing tolls for its use. In 2002, Congress designated and renamed much of the original road spanning Baltimore to St. Louis as the “The Historic National Road All American Byway”. Identified by the Black Eyed Susan logo, and underlined with a “Historic National Road” sign. Many of the mile markers can still be found along the North side of the roadway. A map guide is available that highlights the 57 roadside markers that share local histories from Baltimore to Keyser’s Ridge. The Maryland National Road Association is a non-profit, member based, organization that supports the Maryland portion of the Historic National Road All American Byway in a variety of ways. info@ MarylandNationalRoad.org or call 410-489-9100. The first German immigrants came to the Middletown Valley area around 1740 from Pennsylvania. On March 20, 1771, the parcel of land where the Zion Church stands today was conveyed to a group of Lutherans for their Church. In the deed, Conrad Crone conveyed this property for the price of “One Sterling Penny” to build “finished and completed, one church edifice for public worship for the use and service of a congregation of Lutheran Augustine Confession, yielding and paying the rent of one pepper grain yearly”. The first church was a log building erected in the Revolutionary War period. Around 1812, the log building was replaced by a fine brick building and was named “Evangelical Lutheran Church Zion”, the name it carries today. The German language was used exclusively in the church until 1834, when English came into use because it was believed that there was an economic advantage to using the English language. The building one sees now on Main Street is the third church structure to stand on this lot. As the congregation grew, a larger church was needed. Designed by a Baltimore architect, the current structure was dedicated in 1860, three years before the bloody Battle of South Mountain. On Sunday, September 14, 1862, the Battle of South Mountain was fought in three pitched battles between the forces of the Union and the Confederacy, for control of three passes around Middletown. This was followed on September 17 by the terrible conflict at nearby Antietam — the bloodiest single-day battle in American history. The wounded from these battles filled all surrounding villages, and most buildings of sufficient size became hospitals. Zion Church, the largest building in Middletown, was commandeered as a “general hospital” to receive critical-care patients, especially those requiring surgery. Pews were removed and replaced by cots. Hundreds of wounded and dying from both sides were cared for there. and the building dedicated on June 27, 1819. Although the sanctuary has undergone many interior changes since its construction, it is the oldest church building in continual use in Middletown. The congregation was served by the pastors of the Reformed Church in Frederick city until January 1830. The early worship services and the church records were in German until a new hymnal and psalter were published in English in 1830. Beginning in 1831, all minutes of the congregation were kept in English. On Sunday, September 14, 1862, the Battle of South Mountain took place and General George McClellan used the steeple of the church as a lookout to locate the position of the Confederate Army. The Rev. Frederick Rupley kept a small booklet in which he recorded the names of Union and Rebel soldiers who were being attended to in the church, which had been converted into a hospital. Included in the book were the names and addresses of relatives to whom he would write concerning the soldier. That journal is in the Reformed Church Archives in Lancaster PA. It was noted that Oliver Wendell Holmes spent a night in the parsonage as he looked for his son, who was wounded at Antietam. On March 4, 2010, a fire significantly damaged the roof, organ chambers, altar and chancel areas of the church. Plans are in place for the restoration of the sanctuary which will be completed over the next several months. Early German settlers to the Middletown area reported being terrorized by a monster called a “Schneller Geist”, or “quick spirit” — a half reptile, half bird and completely fearsome creature. Nicknamed the Snallygaster, it flew swiftly and silently, picking up victims and carrying them off. A century ago, Middletown’s Valley Register and other area papers reported a string of appearances by this beast, making screeching noises and flying over nearby states and heading our way. Near Burkittsville, it was reported to have laid an egg large enough to hatch an elephant! The sightings created such a commotion that the Smithsonian Institution offered a reward for its hide, and President Theodore Roosevelt considered hunting the beast himself. It was last sighted in March 1909 near Emmitsburg, where three men fought it for almost 90 minutes before chasing it off. The Snallygaster, or perhaps its offspring, reappeared in 1932, reportedly flying out from Middletown Valley. But, alas, it was reported killed when it was overcome by fumes and drowned in a vat of moonshine. Unfortunately, the still was “inadvertently” destroyed before the remains were observed by anyone. Some say it returned to the western Baltimore area in 1973 resembling a Bigfoot monster. After many eyewitness reports, a large and heavily armed hunting party pursued it, but came back empty-handed. Many believe it will it return, but where…? Visit these websites for additional historical information about the area.